You all should know by now how much I love reading nonfiction books. 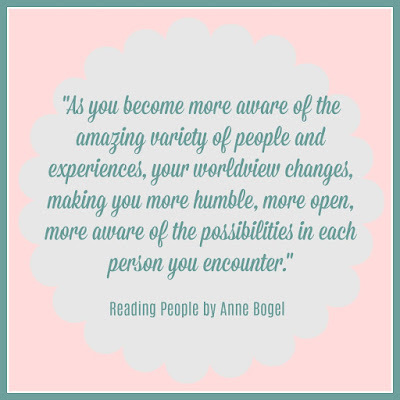 I haven't reviewed one on the blog in a while, but I am a personal development/self help junkie. I am a better person when I have one of these books going, which is why I'm usually reading a nonfiction all the time along with a fiction. I have zero problems mixing up the plots!! But I have a new one for you that I'm so excited to share!! 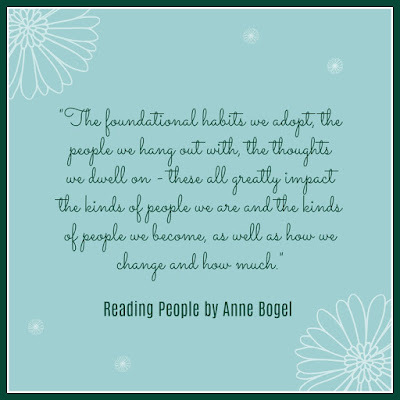 I believe I have mentioned Anne Bogel on the blog before. She writes the blog Modern Mrs. Darcy and is the woman behind the What Should I Read Next Podcast. Her blog is honestly what I aspire to...it's the site I sent my sister to when I wanted to illustrate what my goal was for my blog. She's the reason why I bought my first pair of Tieks. I'm a fan. So, the beautiful book that has me so excited and already using tons of exclamation points like an amateur writer, is called Reading People. 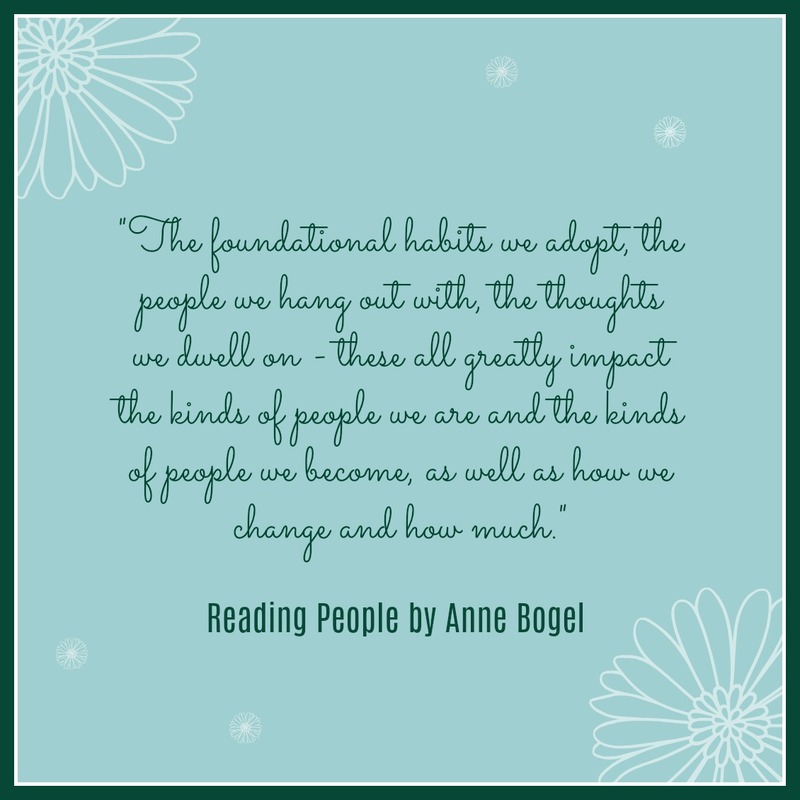 What Anne has done is taken a myriad of personality frameworks and put them all into one easily digestible book that reads like a good chat with a girlfriend. The conversational tone and her easy demeanor translates so well into this book that it makes even the most confusing of topics (cognitive functions anyone?!?) easy to understand. If you've ever clicked on one of those quizzes shared on Facebook that claims to tell you how your 10 favorite GoT or Disney characters can enlighten you about your inner personality...this book is for you. If you've ever been curious what exactly that Myers-Briggs test you took had to do with ANYTHING...this book is for you. If you're a fan of Gretchen Rubin and her Four Tendencies Framework...this book is for you. Or if you're just interested in delving a bit into the inner workings of yourself and how/why you tick the way you do...this book is for you. I unashamedly can't pass up a FB quiz...and have always been curious of why I am the spazz that I am. So I devoured this book, and it left me begging for more (and texting my sister to discuss it, which is a sure sign I LOVED a nonfiction book!). 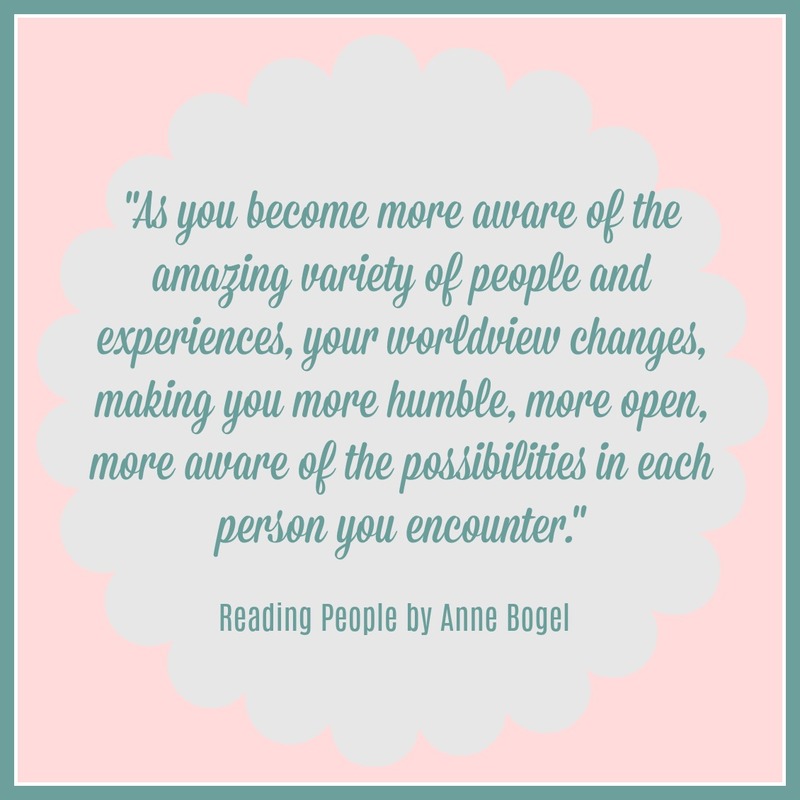 Some of the tests discussed in the book I was already familiar with, but the way Anne describes them and the different types of people was just new enough to keep me highlighting like a mad woman. There is a chapter on: Introverts and Extroverts, (10 points if you can figure out which one I am!) Highly Sensitive People (of which I am not, but it helped me understand friends who are), Love Languages (I am words of affirmation and my husband is acts of service), Keirsey's Temperaments, Strengths Finder 2.0, The Myers-Briggs Type Indicator (ENFP here! ), MBTI Cognitive Functions, and The Enneagram (Type 4 here). Plus insight galore. So this book gets 5 stars from me. It's one I will pick up and read again. I've already copied some notes into my journal. I purchased a book on the ENFP personality type so I can learn a bit more about that...and another one about my Enneagram type. I did the Strengths Finder 2.0 quiz so I could do a little focusing on my strengths instead of weaknesses for a change. This book has me fired up!! 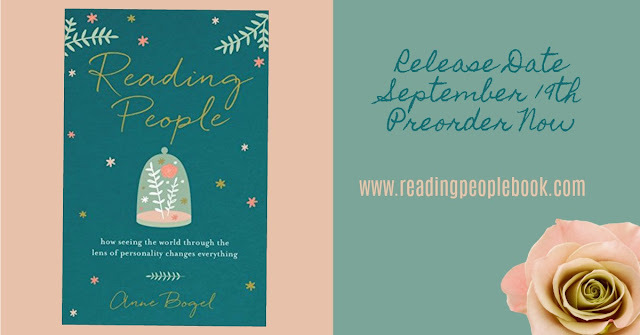 Reading People comes out on September the 19th, but if you pre-order from her website there are a few little perks waiting for you!! And I'd love to hear in the comments here or over on my Facebook page, if you've taken any of these personality tests before and what your results were...and if you found them to be true to type?! ?